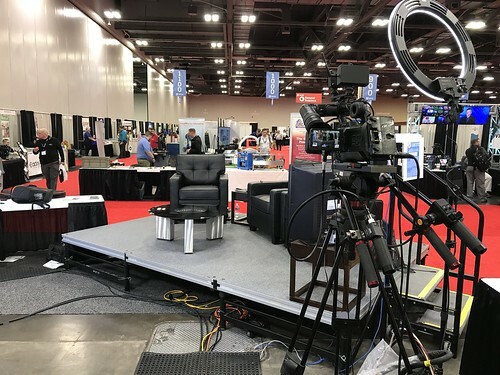 Today at the 2018 Ohio Educational Technology Conference, I was interviewed following my breakout session by a the amazing student broadcast journalism team from North Canton City Schools, Ohio. After their interview of me, I turned the camera and microphone around (using my iPad) and documented a short tour of the AMAZING “Mobile Storyteller” production studio they have been using the past two years. Many thanks to Arthur B, who interviewed me and graciously allowed me to video him for this tour and interview. 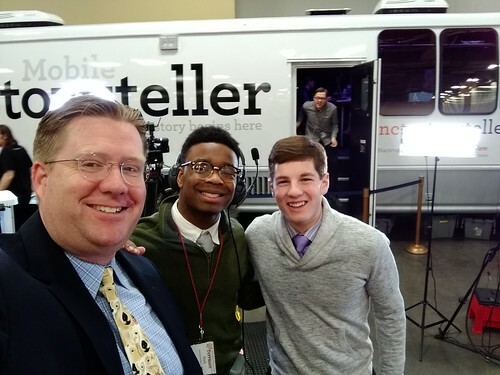 The Mobile Storyteller student service learning project is a product of North Canton City Schools video – journalism programs and the NCtv educational television station. 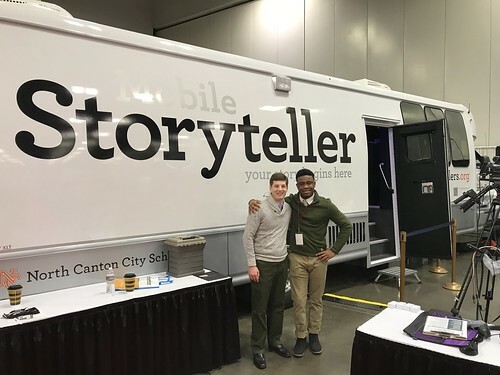 This project redirects students back into their community to find ways that effectively connect people through digital storytelling and archiving. Check out the video! It’s 2 minutes and 11 seconds long. As a Storychaser since 2007, I found this student team and their resources for sharing digital stories remarkable!